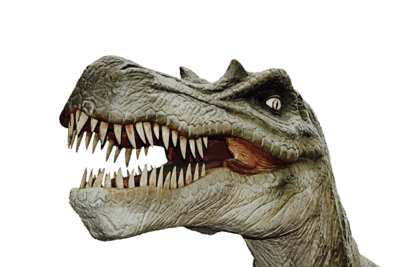 The term “Dinosaur” was given by Sir Richard Owen in the year 1841 – 1842. This word is derived from the Greek language and it has the meaning of a terrifying lizard. We all know that dinosaur was the ultimate predator known to the man kind which lived in the Triassic and Jurassic Period of the Mesozoic Era. This period was almost 241 million years ago on the Earth and during this period, the dinosaurs were the most dominant species found on the Earth and therefore, the ultimate predator. Mesozoic Era of the geological time scale is often known as the Age of Reptiles. During this period, there were many reptilian species living on this planet in abundance. Among these reptilian species was the group of Dinosaurs. A group or clade (Dinosauria) of dinosaur involves different species of dinosaur. It is clear that dinosaurs lived on the Earth 247 – 241 million years ago and they lived for more than 175 million years on this planet. Out of these 175 million years, dinosaurs were living as the dominant species for almost 135 million years. After a certain period of time, that is in the Cretaceous Period of the Mesozoic Era, these dinosaurs became extinct. The reason behind this is still not known due to inadequate evidence present to support the respective theories. It is usually said that birds are the descendants of dinosaurs as the birds are evolved from the reptiles that is dinosaurs. The evidence of birds evolving from reptiles is the connecting link Archaeopteryx. Archaeopteryx is an animal which has wings with claws and many such features which belong to birds and reptiles respectively. For example, the wings which is a characteristic feature of a bird and claws which are a characteristic feature of a reptile, thus, making the archaeopteryx a possible connecting link between the two classes. Birds have evolved from this connecting link therefore, birds can be called as living dinosaurs and therefore, proving that dinosaurs are not totally extinct. It also indicates that only the huge, reptilian dinosaurs have become extinct due to their inadequacy to adapt to the changing environment. There were different types of dinosaurs which varied according to their shape, size and morphological features. Some dinosaurs were huge (100 feet long and 50 feet tall) and some were small (equal to the size of a turkey). Also, the dinosaurs can be classified based on their diet that is some are carnivores (meat eating dinosaurs) and some are herbivores (plant eating dinosaurs). The meat eating dinosaurs also used to feed on the smaller dinosaurs if no other animals were available around them. There were also some dinosaurs who walked on 2 legs whereas some dinosaurs walked on 4 legs and there were some dinosaurs which could walk on 2 legs as well as 4 legs. They also had varying shape of the body, for example, some had horns, crests, bony armor, differences in the shape of the hip (reptile-hipped known as Saurischia and bird-hipped known as Ornithischia), etc. All these factors were varying in different dinosaurs thus, making it a very diverse group of reptiles with similar taxonomic characteristics. The knowledge of dinosaurs is all learnt from the available fossil records. These fossils are very diverse and therefore, deriving information from these fossils and to categorize the dinosaurs based on the variations found in the fossil records is essential. Dinosaurs have various characteristic features but certain features are similar, for example, all dinosaurs are oviparous in nature that is, dinosaurs lay eggs and these eggs then hatch into young ones of the dinosaurs, dinosaurs are uricotelic (they excrete uric acid), etc. During the Jurassic Period that is 200 – 145 million years ago, the dinosaurs were the dominant species on the earth which lead to excessive population of dinosaur species. And after the Jurassic Period, when the Cretaceous Period began, the dinosaurs became extinct. There are various theories which have suggested the process of extinction of dinosaurs. During the cretaceous period, there was a mass extinction event which caused the extinction of various species along with the dinosaurs. For example, planktons, brachiopods, etc. they also disappeared along with the non-avian dinosaurs but the fact about dinosaurs declining before the mass extinction event still remains a mystery. During the mass extinction event, it is believed that there was a rise in the Earth’s or global temperature. There are different theories which explain about the rise of the temperature on the Earth and therefore, why or how the dinosaurs got extinct due to the impact. The first theory is that of an asteroid hitting the Earth which suggests that there were basalt eruptions and decrease in the sea level which led to increase in temperature along with a comet striking the seabed near the Yucatan Peninsula, Mexico which led to the mass extinction event. The second theory was of the Volcanic eruption which led to drastic changes in the global temperature thus, blocking the sunlight with debris that disrupted all the photosynthetic systems as well as the food chain. Now, the scientist came to a conclusion with these two theories was because of the rock which was discovered and was dated back to the extinction event. This rock was rich in Iridium metal which is not that abundant on the earth’s surface but is either found in the asteroid masses or in the volcanic lava. Therefore, this discovery made the scientists to believe that the mass extinction event was most likely triggered due to a huge volcano or some asteroid. Nevertheless, there are many such facts which are still unexplained and therefore, the sudden disappearance of the dinosaurs from the Earth is also a mystery. There is also a possibility that the dinosaurs might have been already declining to inter-species competition which might have caused food scarcity, favourable habitat, etc. and the mass extinction process just speed up the process of the extinction thus, not leaving any proper fossil records.